If you relish a poetry of the ear and eye, the light touch of vowels mingling in a breathing landscape, then you will feast on this book and these poems from Julia Cohen. Here the news is alive and subtly elegant. Here the cognate child builds her musings syllable by syllable to talk of insects on snow and little cliffs. Here the phrase is music and memory is inexhaustible. The things found in her night-garden—mimicry should be deliberate; the colossal leaf; the broken dinner plate—are replete with suggestive power. This is a voice indeed of an active and precise imagination. Julia Cohen’s speaker, chalky / from / banged up /stars, addresses the sticky stuff of existence from all sides, from that [t]ender veil of the buffering field. This book is full of arrows. Some pierce, some direct, some snap in half and form an X to mark the animal inside that animal / alive & yelping through the skin. Or we’re shot through by being persons. Cohen won’t heal, but will direct us in our grief, our weird grief shot through with pleasure. I can’t just sit here with feelings. If you lose your grip on this book, if you slice your hand as the vanes pass through, hold tight as only the busted-beautiful can. Cohen’s poetry enacts the legacy of Dickinson’s abstractions, her “gorgeous nothings” in our own time, but there is something more ardently philosophical, more argumentative—which includes definition by ruling out alternatives—in Cohen’s approach. . . . They distill experiences on the page, but they do not explain away the incongruities, the pain or the grace. The poem becomes merely half of a conversation, and a means for us to, in Cohen’s words, “worship doubt.” Spend enough time with poems like this, and one begins to feel that the neatly package truths one is often sold in more “popular” poetry are rather disingenuous. Collateral Light is a collection that revels in the oft-overwhelming murkiness of the milieus of emotion, culture, and, ultimately, existence, resulting in a stunning and thoroughly satisfying product. Every line is an arrow, sharpened to a point. These are penetrating poems. . . . This book doesn’t expect a certain kind of reader. But this book will make its mark on you, regardless of the kind of reader you are or think you are. Knowing what something is not is a kind of knowing that is valued in these poems. And yet, the poems (and poet) long for a more conclusive knowing, and in the absence of that the poems explore their own definitions. . . . Ever aware of what her poems are doing, Cohen asks questions and allows for duel logic because she is in control, and control can be a very therapeutic vehicle. The central concerns of selfhood are often hidden beneath disjointed and unexpected imagery, which sometimes leads to a wish for greater continuity. Yet, it is simultaneously refreshing to see Cohen engaging with timeless questions of selfhood in a new vernacular. [P]erhaps most admirable about Cohen’s sparsity is the different ends to which she applies it without ever breaking form (and thereby introducing discontinuities into the flow of her poems). . . . [S]he’s deploying remarkably piercing statements that are not diminished by their condensation. . . . She sharpens her point, and we watch; she plunges, and we plunge. 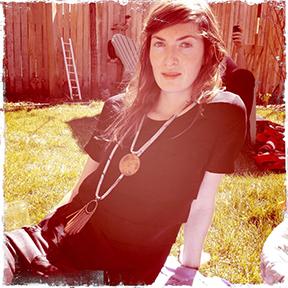 Julia Cohen’s first full-length book, Triggermoon Triggermoon, was published in 2011, and her third collection, I Was Not Born, will be released by Noemi Press in 2014. Her poems and lyric essays appears in such journals as jubilat, New American Writing, Kenyon Review Online, Colorado Review, DIAGRAM, and Black Warrior Review. 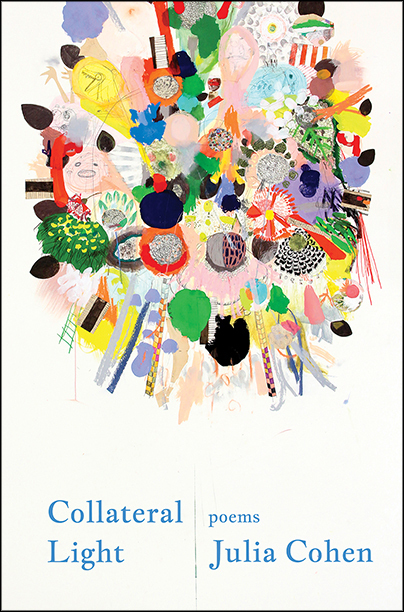 Enjoy this PDF of sample poems from Collateral Light.